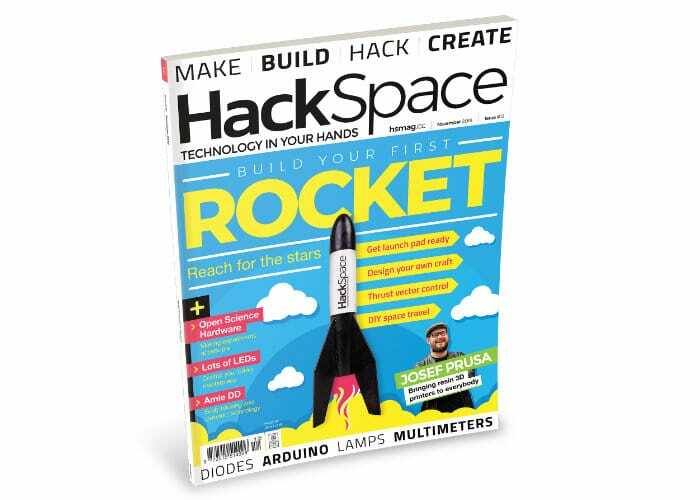 The new issue of the awesome HackSpace magazine is now available in the form of issue 12 ready for November 2018, featuring plenty of projects to keep you busy. 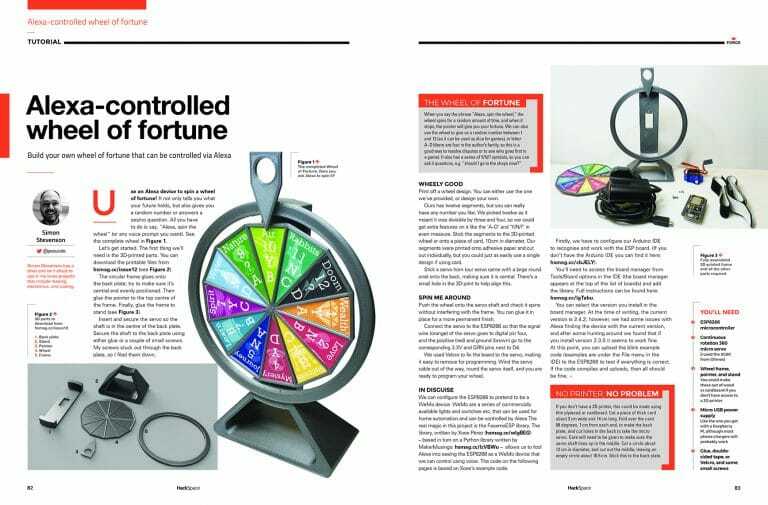 This month’s magazine provides details on how to create a DIY rocket and reach for the stars as well as explaining more about multimeters, diodes, Arduino, Open Science Hardware and how to build your very own Alexa controlled wheel of Ffortune. “Step inside the UK rocketry scene, build and launch a rocket, design your own one, and discover the open-source rocket programmes around the world! In issue 12, we go behind the scenes at a top-secret launch site in the English Midlands to have a go at our own rocket launch, find the most welcoming bunch of people we’ve ever met, and learn about centre of gravity, centre of pressure, acceleration, thrust, and a load of other terms that make us feel like NASA scientists”. For more information on subscriptions, downloads and digital copies jump over to the official Raspberry Pi Foundation website by following the link below.